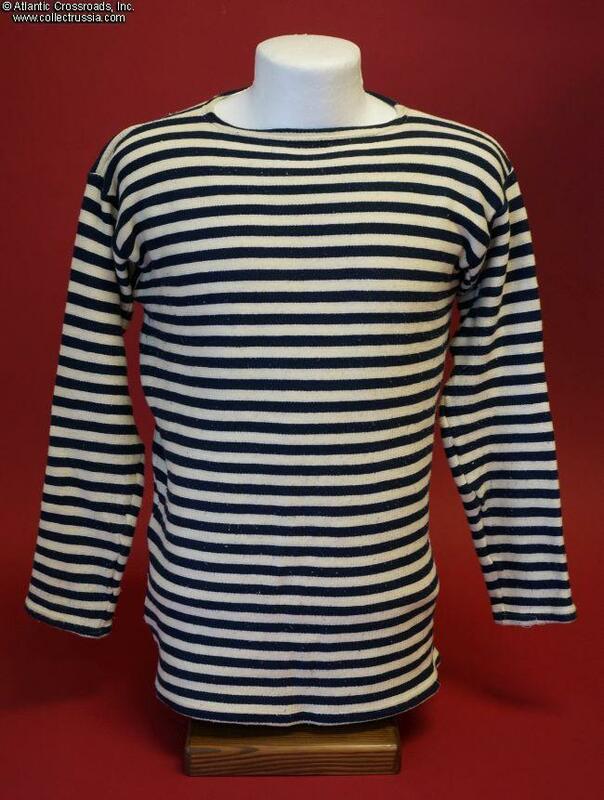 Winter Tenlnyashka Striped Shirt, original Soviet Navy issue, circa 1980s. 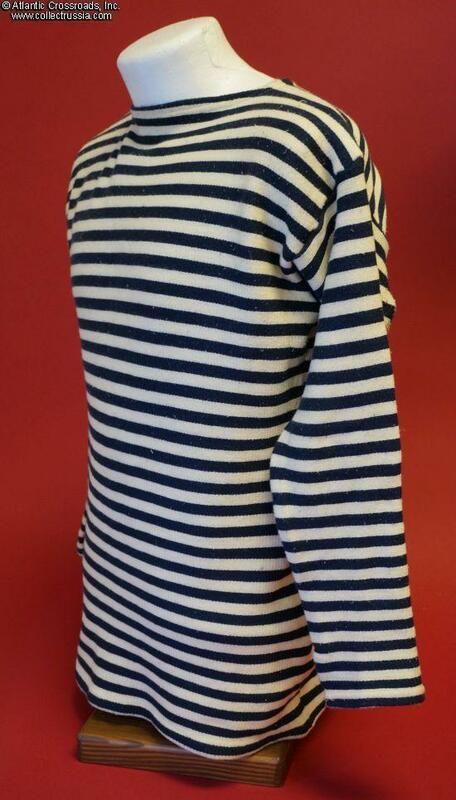 Traditional striped knit shirt with dark blue stripes, winter model in extra thick cotton. 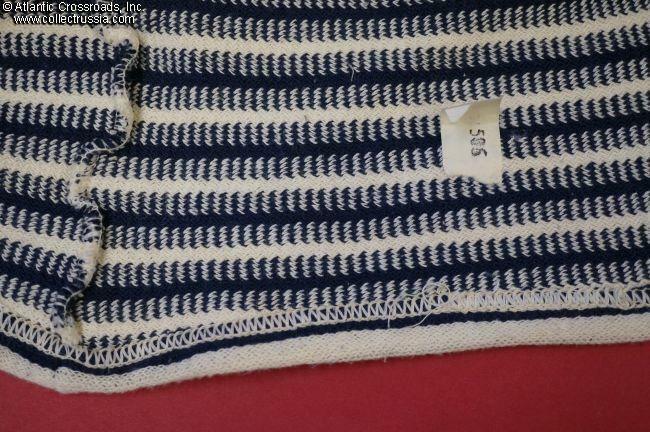 Although Telnyashkas currently made in Russian may appear the same from a distance, there are subtle differences in the weave and quality of the fabric. The old technology is no longer used anywhere, and the originals have become nearly impossible to find. This is the first one we've had in years, and only one piece is currently available. Size 44. Total lengths 28". Condition is outstanding, almost new. The telnyashka may have been worn once or twice and then dried cleaned but probably never washed. 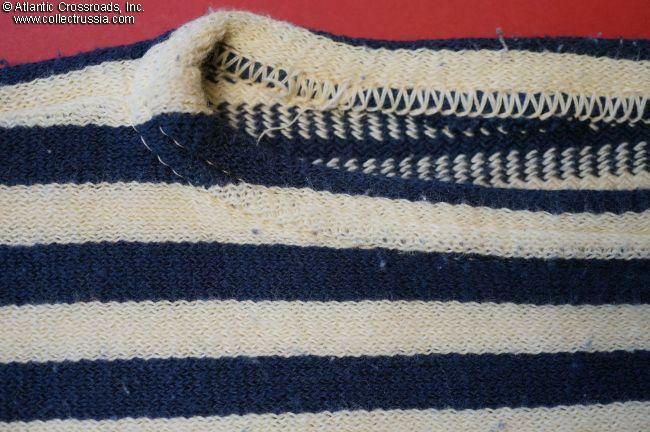 Perfectly clean and without any tears; minor amount of surface lint has accumulated from years in storage. 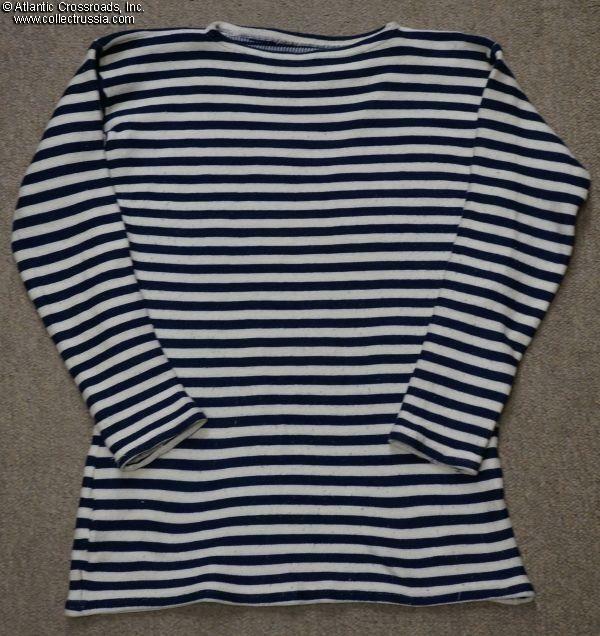 If you are looking for a telnyashka to wear, consider one of the brand new, currently made shirts that we have at lower prices in our WW2 Soviet Reenactor Uniforms section, for example this winter model Navy Telnyashka For those who are looking for an original collectible item from the Soviet period however, there is no substitute.